Dr Matthew Threadgate is proud to announce the opening of his new independent urology practice ‘Matthew Threadgate Urology’. Matthew aims to provide the highest standard of urological care to private and public patients in the Illawarra and Southern Highlands. Matthew has trained in all aspects of urology with a particular focus on urological cancers, reconstructive urology and minimally invasive surgical techniques. 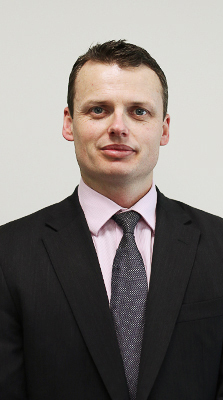 Matthew is qualified da Vinci robotic surgery proctor and is the Illawarra’s most experience robotic surgeon. He offers expertise in prostate, kidney and bladder cancer robotic surgery. His other areas of subspecialty interest include surgery for male urinary incontinence, erectile dysfunction and urethral stricture disease. Matthew also treats general urological conditions such as prostate enlargement, voiding problems and kidney stones. He has a wealth of experience in the application of laser technologies including Greenlight laser therapy for BPH and Holmium laser surgery for kidney stones. To celebrate the opening of his new practice new patient referrals seen prior to June 30th 2017 will be BULK BILLED for their initial consultation.